The party is at our house this summer. The Fiji™ Margaritaville® Frozen Concoction Maker™ is the perfect Frozen Concoction Maker™ for your next bash! The Fiji™ Frozen Concoction Maker™ offers four completely automated settings, pre-programmed to shave and blend the perfect Ritas, Daiquiris, Slides and Smoothies. A larger capacity ice reservoir holds enough ice to make two and a half pitchers of frozen drink perfection and heavy-duty die cast components keep the party going. 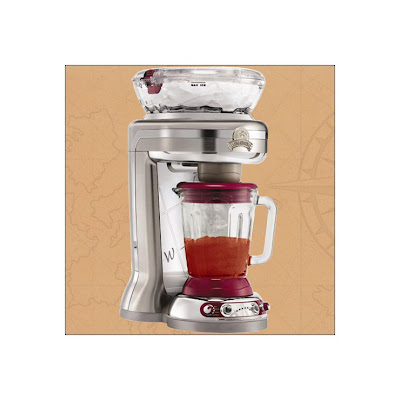 The Fiji™ Frozen Concoction Maker™ has a premium brushed nickel housing and polished stainless steel accents. Simply fill the ice hopper with ice, add ingredients to the blending jar and fire it up! The Fiji™ Frozen Concoction Maker™ does all the work... you take all the credit! 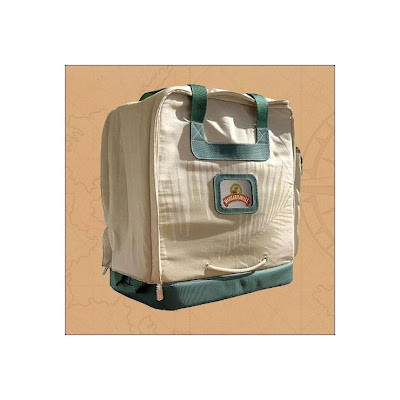 It comes with this handy storage/travel bag. Adding the outside of the front and back. If you notice the before and after pics what a huge difference. The mesh on the back hill looks tacky but once all the ice plants spread and cover it will look nice, Im hoping by next spring it will all be filled in. 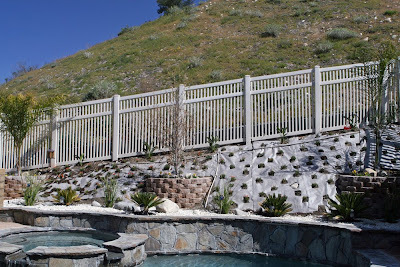 The mesh is to keep the weeds out so it may look tacky now but will save us from a lot of work later on. We have planted a lot of flowers and bushes so I can't wait for them to all start blooming.